Would you believe me if I told you that you could find a tropical paradise just an hour and a half commute from New York CIty? Let’s be honest, you probably wouldn’t. But after spending the last couple weekends out on Fire Island, I’m here to tell you there is one. Home to a diverse range of natural landscapes from wavy sand dunes to sunken forests, as well as timeless towns, tranquil abodes, and immaculate beaches, Fire Island is a tropical paradise with a little something for everyone. Also know as “OB” by locals on the island, this little firecracker of a town can get pretty rowdy most weekends as it is a great place to venture/stumble around on a Saturday night. Between Houser’s, The Sand Bar, Maguire’s and Matthew’s there are plenty of bars to wet the whistle a little. While each bar in OB boasts an electric environment, each one has a little different vibe to it; Houser’s is where you’ll hear more of the classics while MacGuire’s, SandBar and Matthew’s are more of the DJ house music dance party scene. Either way, mix in a couple rocket fuels, and you will be blasting off into the night. Ocean Bay Park might be best known for Flynn’s Fire Island Bar and Schooner’s Inn, both places that I would highly recommend. By day, it is also a peaceful community with picturesque villas and rental homes. Ocean Bay Park’s laid-back, non-restrictive vibe can be appreciated by anyone who is looking to rent a house for a weekend getaway with the family, or by a group of friends seeking a share-house for the summer. With beautifully clean beaches and a small ocean town feel, this tranquil community is the ideal place to set up shop for a summer whether you are renting or buying. Alright, you may think I am just shamelessly plugging here, but this small town is a must visit place for anyone making the trip out to Fire Island.  While Ocean Bay Park is a little larger in size and more commercial, Fair Harbor features a few specialized boutique stores, as well as a restaurant and a pizza shop, giving it that old-town charm that has kept people coming back for decades. The recently renovated restaurant, Le Dock, offers some of the best food on the entire island I kid you not. Also, every evening vacationers and locals head down to the dock to socialize and watch the sun set behind the bay. Listen, I’m not telling you to cancel your trip to the Cayman Islands, but I hope after reading this you can at least appreciate Fire Island, consider it for your next beach getaway, and connect with the community a bit more. Oh and one last thing to think about, hangovers are not a thing on the Island, it’s literally magic. Hope you enjoy and feel free to let us know how it goes!